Thank you for your interest in horizon electric, LLC! Horizon Electric, LLC serves all of Northeast Florida, and is locally owned an operated by James Coker. James is a Master Electrician with over 19 years of electrical experience, and has been working as an electrician locally in Nassau and Duval counties for 15 years of that time. 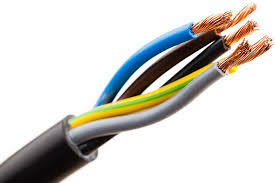 We specialize in Residential and Commercial electrical service, installation and troubleshooting. Estimates are FREE, so give us a call at 904-849-1942 to schedule an appointment today!